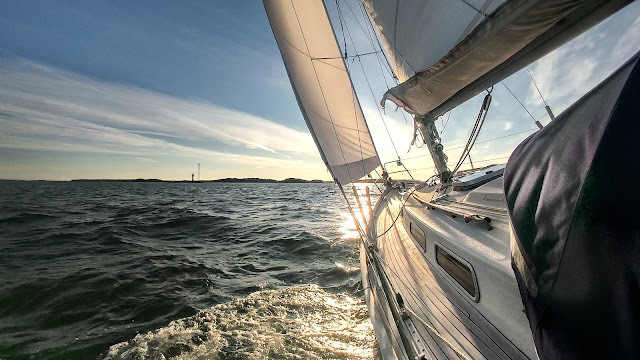 On Saturday, after spending four days in Egersund, the winds finally calmed down and we headed back to the sea. 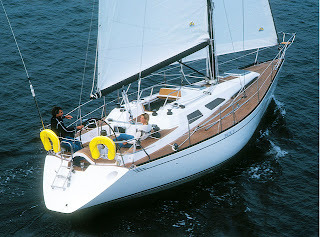 The swell was still quite large, and thus we were able to sail only about one hour of our 22 nm leg to Berefjord. Egersund was the furthest place during this trip and consequently, our trip towards home has begun. 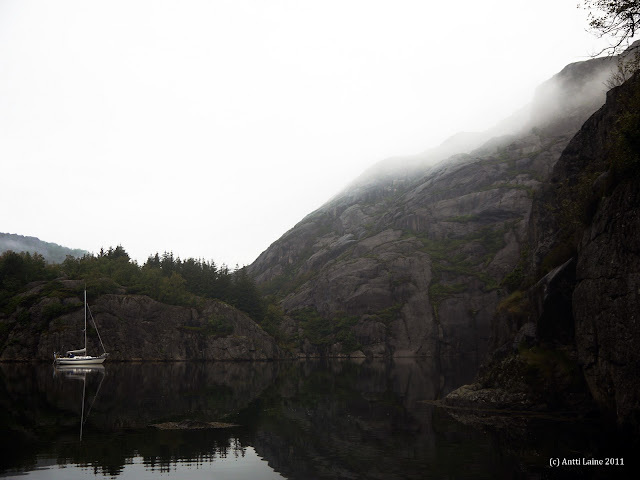 Luckily, we still have plenty of time to explore Southern Norway! 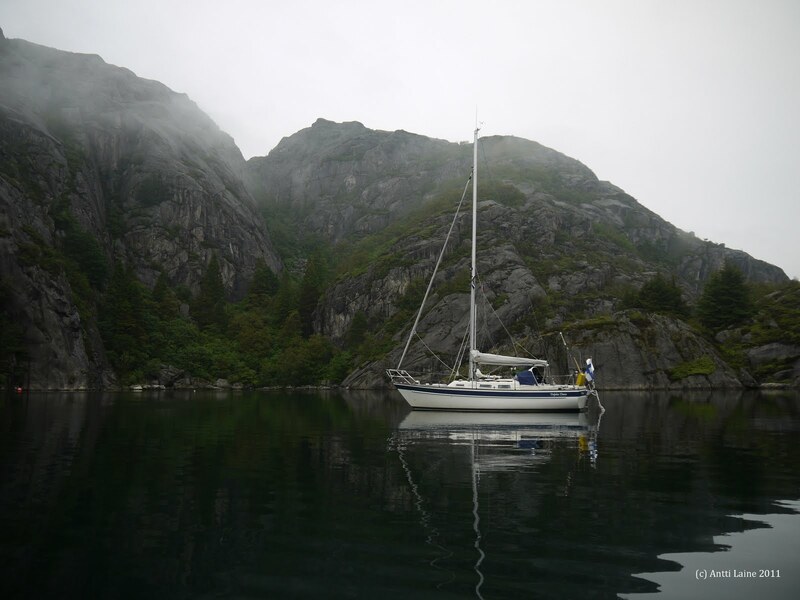 We found a great wild anchorage from Berefjord, located about 4 nm northwest from Kirkehamn (Hidra). Berejord is in the middle of high mountains so it is sheltered and the scenery is really beautiful. Unfortunately it started to rain after we arrived. Later on the evening, when the rain eased, we took the dinghy and went to explore the nature. Minna also spotted blueberries and we picked some and later prepared blueberry pie for dessert. Narrow bridge over the river. We did not dare to use it.